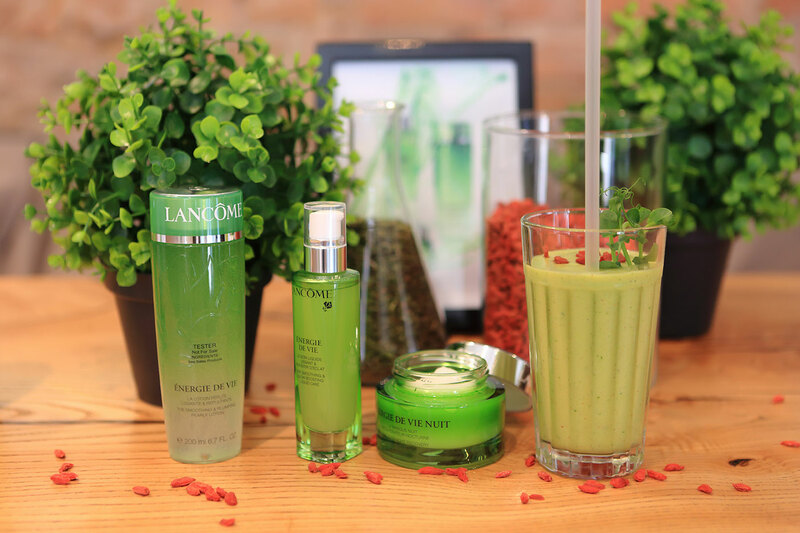 A bit less than two months ago I attended the launch of Lancome newest skincare line. When I felt that it is too late to make a post only about this event I realized that I will wait for few weeks and make a post not only about the vent but also about my first impressions and thoughts about these products and now is the time. 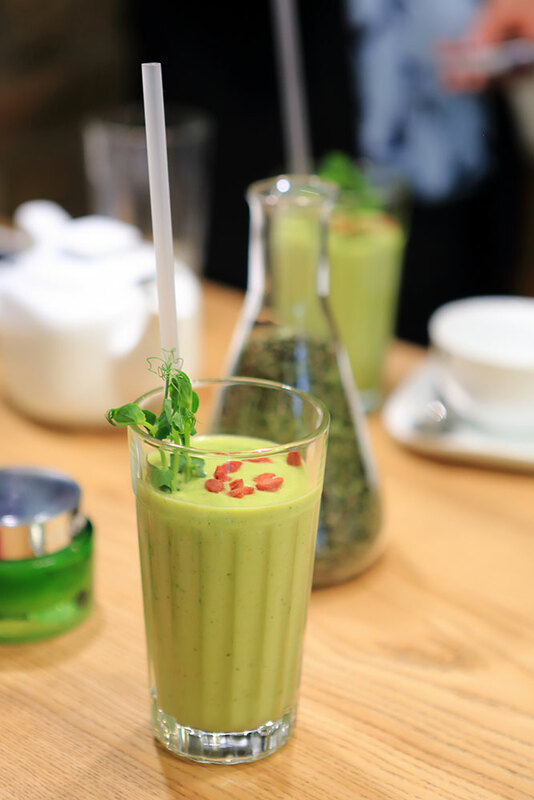 "Énergie de Vie takes hydration to new levels with surprising textures and Goji Berry extract and Lemon Balm oil. Now you can say yes to everything as your skin will still look great in the morning, like you went to bed at 8pm." 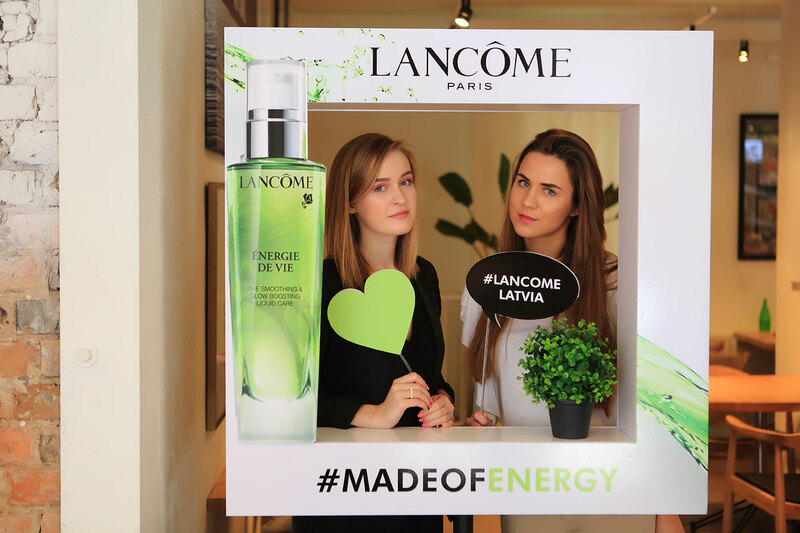 Energy de Vie is inspired by nature and Asian skincare traditions and that is why all three products has some very unusual features. Why am I so excited about these products? They are designed for women living an intense lifestyle fulfilled with stress and suffering from lack of sleep what results in rough, dull or dry and tired looking skin. Well, I guess that I just perfectly described myself. And of course I am not saying that it is the right choice not to sleep appropriate amount of time or live in stressful conditions all the time but I guess sometimes we almost don't have a choice. And for those kind of days or weeks Energie de Vie is definitely a life saver. So, as I already mentioned there are three products in this range and there is one product that I now can't imagine my life without - my absolute favorite, one product that I really like and one that is nice to have. As I am always in rush and can't find time for anything including putting on and taking of a mask for example, the night mask is my absolute favorite from this product range and using it for two months on a daily basis I can say that I can definitely see how my skin has gained that healthy glow and it doesn't look that dull anymore. And of course the fact that I can sleep while the magic happens is the best part of it. There are 2 ways of using this mask - you can use a small amount as a night cream or cover your skin in a generous amount for 10 minutes before removing gently with a tissue. I am have chosen the first option and I am very satisfied with it. The reason why I wasn't a fan of night masks was because I don't like that you need to wash your pillow cases more often as well as your hair. Besides this Lancome night mask I can also suggest the one from Origins - Drink Up Intensive. Have been using it few times a week for last few months and I really like them both. The second product - Smoothing & Glow-boosting Liquid Care . I definitely like this product because of many things and one of the most important is it is lightweight you almost can't feel it after few seconds after applying it on your skin. As I have a combination/oily skin I don't use heavy day creams and I am always looking for my day cream/moisturizer to be as lightweight and non greasy as possible. This product is actually all in one. It is lotion, serum and moisturizer in one bottle. Besides moisturizing this liquid care gives also that healthy glow we all are looking for. The third product Pearly Lotion which contains translucent pearls can be used under Liquid care or on its own to give skin a boost. I have heard many good reviews about this lotion from my friends and other bloggers. For me this product is in the category 'nice to have' because I see the same results when I use Liquid Care on its own without this lotion. Yes, the texture is really nice and it also provides that healthy glow but as I don't like to put too many layers I would go with Liquid care only. But as I said I have read and saw many reviews where people say that this Pearly lotion is THE hero of this product range. So as always we all are different and that is why I suggest to try at least something from this skincare line. And if you would ask me - I would say that the night mask is a MUST!